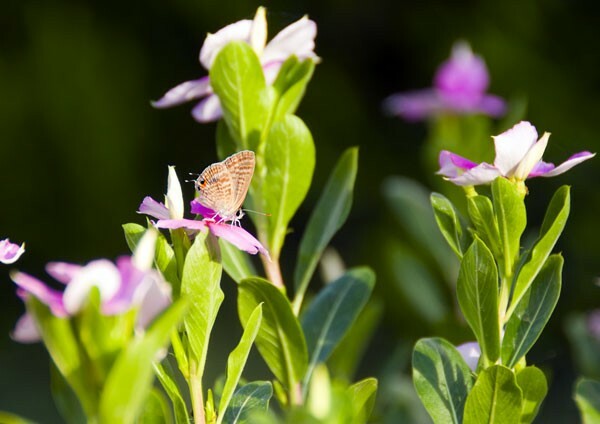 Canvas or poster printing of a Long-tailed Blue Butterfly, hidden amongst an array of pink periwinkle. Minute but beautifully detailed, the Long-tailed Blue is one of the smallest of butterflies. An unusual visitor to the UK, it is normally found in the Mediterranean and Asia. Long-tailed Blue Butterfly, hidden amongst an array of pink periwinkle. Minute but beautifully detailed, the Long-tailed Blue is one of the smallest of butterflies. An unusual visitor to the UK, it is normally found in the Mediterranean and Asia. Long-tailed Blue Butterfly (Lampides boeticus) .